"Being a jazz musician you are unavoidably a kind of imitator", says Bosse, "but that's nothing to be ashamed of because it's a tradition based on playing by ear". I see myself as an interpreter, a vehicle for a tradition and Miles Davis has always been my model; his playing has moved me deeply; I'd like to compare it to lyrical poetry" says Bosse. "Lee Morgan has also been a guiding star during long periods on the same level as Clifford Brown. Should Miles be the central lyrical poet, Morgan is a 'preacher', who talks to the audience. Clifford Brown is more like a 'reasoner' involving people in interesting discussions while Kenny Dorham, Art Farmer, and Tom Harrell and maybe also Fats Navarro are 'reflectors'. There are also 'jugglers' such as Freddie Hubbard and Jon Faddis where the manners of a showman can shine through. Clark Terry represents a successful combination of juggling and musical esprit. Thad Jones is important. Periodically I had problems with Dizzy and that was when his show manner was at its height. Later on I have revalued that a little with regard to the social situation, which American jazz musi-cians at times have experienced. I like Woody Shaw, but there is something with his sound that...maybe it's mostly his disciples who seem to be locked in mannerisms, which can feel like a straitjacket. Wynton Marsalis' striving for omnipotent and the incarnation of all trumpeters and styles can sometimes lead to somewhat bizarre effects. He becomes more of an ombudsman than omnipotent..."
Bosse was born in 1937 in Ludvika, a small town in the province of Dalecarlia, Sweden. His first instrument was an accordion but at the age of 14 he changed to trumpet. Even when studying at the upper secondary school he became the leader of different bands and later on he played with local orchestras. He started his studies at the University of Uppsala and during that period he formed a quintet, which played dance-music in the style of the Jazz Messengers for the students. During that period he went to Stockholm now and then to listen to jazz music at "Nalen", at that time a place that was a 'must' to all those who loved jazz music. For a short period Bosse played in a commercial dance-band where he learned to play in a strict, restrained and well disciplined way. That was very instructive to him. About 1961-62 bandleader Gugge Hedrenius asked him to sit in as a replacement and today Bosse is one of the veterans of that band. Above all the Hank Crawford transcriptions they played meant a lot to Bosse. About that time Bosse wrote an arrangement of Tadd Dameron's Choose now, which is a title of an LP he made together with, among others trumpeter Bertil Lövgren and alto saxophonist Christer Boustedt. That recording was rated with four and a half stars in Down Beat some-thing that at that time was sensational. After that Bosse started playing also with groups such as Arne Domnérus' band and the Swedish Radio Band. Together with Arne Domnérus' band he played more than a hundred performances of The Three penny Opera at the City Theatre in Stockholm. In the beginning of the '60s Bosse played a great deal with tenor saxophonist Börje Fredriksson. He was one of the very first real uncompromising musicians that Bosse had ever met. Börje had a totally different way of seeing things. He represented a really true radicalism. In the beginning of the '60s Bosse and Börje started playing at The Golden Circle, a new and somewhat more 'progressive' cultural center that was established in Stockholm. In 1966 Bosse accepted an offer to be head of the jazz department at the Swedish Broadcasting Cooperation where he stayed for more than 20 years. " It was a difficult time for jazz musicians and the future seemed too hazardous even though I played with Dompan (Arne Domnérus) and was well off. The need for a regular monthly check became too much for me". At that time jazz was a part of the entertainment division. There was a period of transition and on some occasions things were carried to extremes. Bosse had, for example, a dispute with one of his superiors who tried to prevent a live recording with Miles Davis whom he considered being a person straining after effects and he recommended Chris Barber's Jazz Band instead. Even the Radio Jazz Group was considered too provocative. Finally, jazz as well as the Radio Jazz Group became part of the music division. Through the years the Radio Jazz Group had several international guests such as Gil Evans, Carla Bley, Steve Swallow, Palle Mikkelborg, Thad Jones and Bob Brookmeyer. During his first year as head of the jazz department Bosse used to play in different jazz programs, of course without any remuneration. When he was criticized for this he refrained from playing on the radio. But he definitely didn't stop playing the trumpet. In 1971 Red Mitchell started the group 'Communication' and Gugge Hedrenius's band began playing again after some years of lull. Bosse played with both these bands and later on between 1975-1985 he also used to play with the Sandviken Big Band. 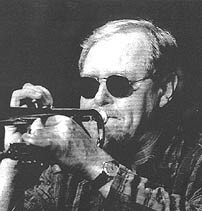 In 1982 Christer Boustedt changed his quartet to a quintet and Bosse became a member of that group. When Christer died, sadly, in 1986, the group continued to play under the name of CBQ, Contemporary Bebop Quartet and the group still has all of Christer's arrangements. In 1990, after 24 and half years, Bosse left his position at the Swedish Broadcasting Cooperation because he believed that by then he had exhausted his store of ideas concerning the business of programming. In the beginning of the '90s Bosse recorded with his old friend double-bass player Red Mitchell and produced the satisfying "West of the moon". The record was awarded the Golden Disc for best Swedish jazz record. Today Bosse still is a most coveted musician. He plays in many permanent groups, among others 'Good Morning Blues', 'CBQ' and 'Nogenja' (Non Generation Jazz). The name Nogenja is his personal protest against the jazz world's increasing obsession with age. "Good music has nothing to do with age. It's a question of attitude, of always being ready to recapture 'that newborn feeling'".